We transformed one of the largest private companies in New York from a bill collector to a customer engagement company, with the help of Sitecore. Con Edison, one of the world’s largest energy delivery systems, was seen as increasingly outdated and out-of-touch with customers. Relying on paper billing and call centers to service customers was costing them. 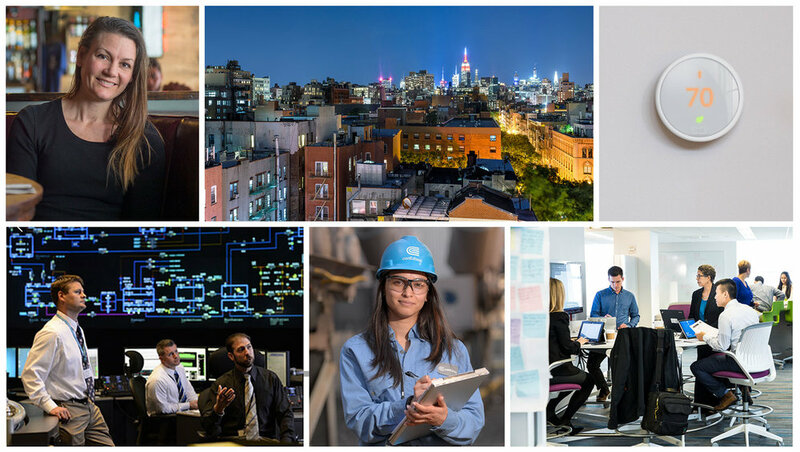 To grow and transform their business, Con Edison was looking to improve customer satisfaction and modernize the digital experience for future energy innovations. Build a Digital Experience Platform through Sitecore, that inspires engagement by empowering customers to take control of their energy use online. 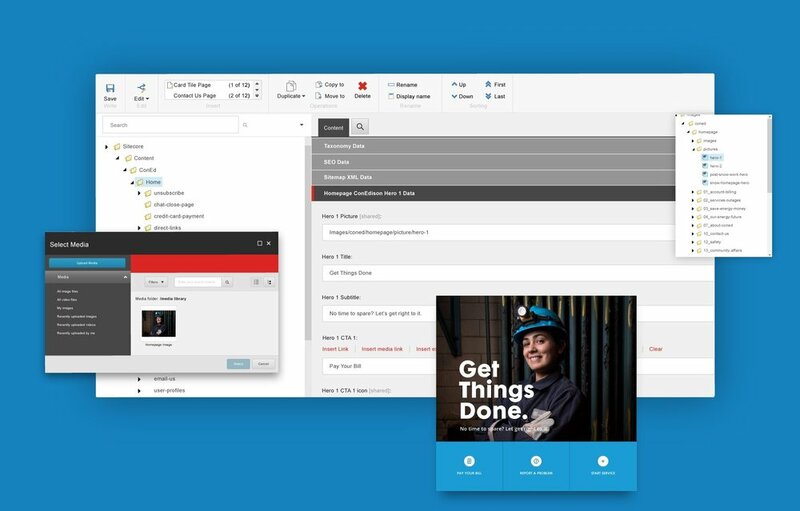 Con Edison leveraged Sitecore’s shared technology platform for web and mobile users, making their legacy systems future-ready for customers’ evolving needs. We started with updating the face of Con Edison with a more human and friendly tone. We made content about energy savings and innovation simple to search and navigate. Sitecore allowed us to easily index and dynamically serve up relevant content across the site. Consumers had more reason to engage with content because it was more meaningful and digestible. To empower customers to take control of their energy use, we built tools that gave them a personalized snapshot of their monthly billing and energy data and seamlessly integrated analytics from third party apps like O-Power and First Energy. Custom dashboard widgets were designed for residential, commercial and industrial customers to address their specific needs. We evolved the Con Edison brand across all channels with a look, tone and feel that communicated the brand promise of “Trusted Energy Advisor of the Future.” We developed custom iconography, illustrations, and photography that gave the brand a bold and approachable personality. We delivered features in a consistent omnichannel experience, including mobile web and a mobile app, making it easier for customers to log in, manage their accounts, and save money on their energy usage, too.